Long time forum member. 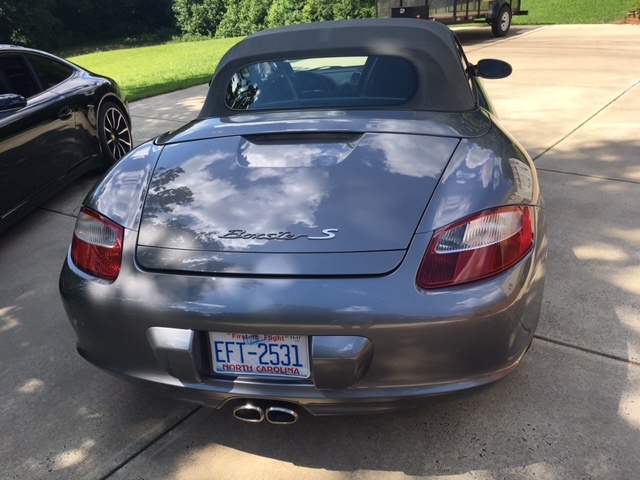 This is my fourth Boxster. You can look at my garage for my other beauties I've had. I got this late last summer because i missed wrenching and wanted a daily driver. 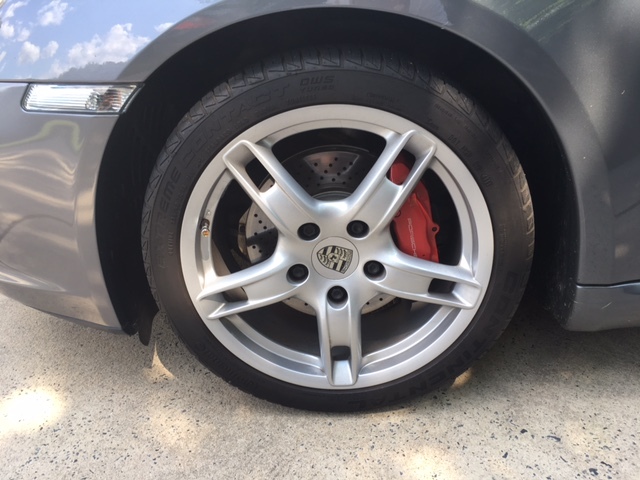 Put over 40 hours in restoring and replacing much of the suspension. I have a lot of records from the previous owner and what I did. I had the front bumper resprayed by ABS. It had bad road rash. New rear bumper too. Some kid dinged it in a parking lot backing out. My friends at ABS helped me out and made sure I got a new bumper. I didn't want some popped out fix. seats are in great shape, paint is beautiful. Top color isn't great. It was bleached out so I redyed it. Not perfect but who cares, I drive with the top down anyway. PM me and I'll give you my phone number or email. I know these cars inside out. 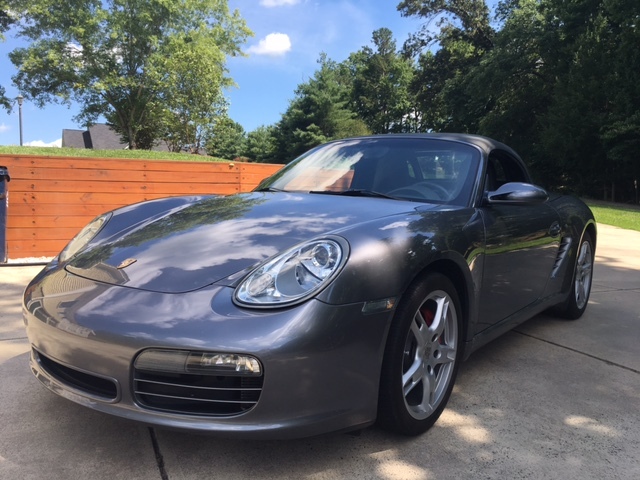 I just got a 2007 911 S and well now I have three Porsches and a two car garage. 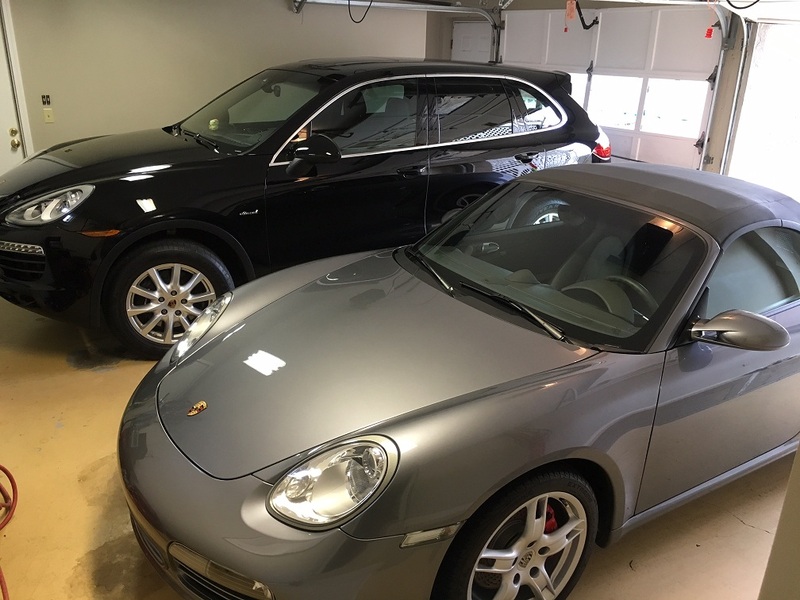 My Porsches usually are garaged at home and work. 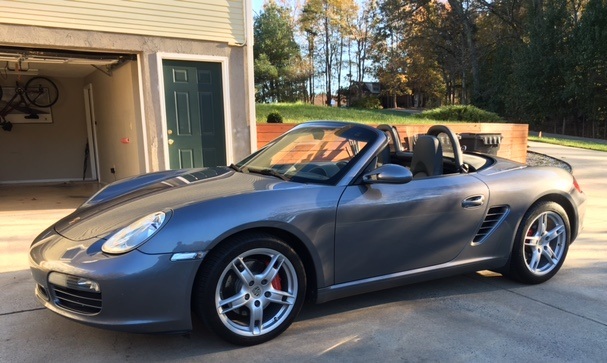 The 911 sits outside at night until I sell the Boxster. It has 104k miles and is very dependable. Mainly because the gentlemen before me had a ton of work done and then of course the stuff I did to make it handle like new. It is a Tiptronic, oh lord, I know how awful...well personally that is why i got it. My 911 is a Tip too. No reason to have a manual as much as I drive it. Anyway it isn't perfect but is has 280hp and plenty of torque and is a blast to drive. I'm only selling because of space issues. I would like $12.8k for it. That is reasonable with all the maintenance and repairs in the last 15k miles. Last edited by WhipE350; 08-10-2017 at 06:29 PM. Reason: Price Change. speed on highway and do a little less wear on rear tires i.e. a little less camber. - Tie Rod inner/outer (996.347.322.01/997.347.322.01). 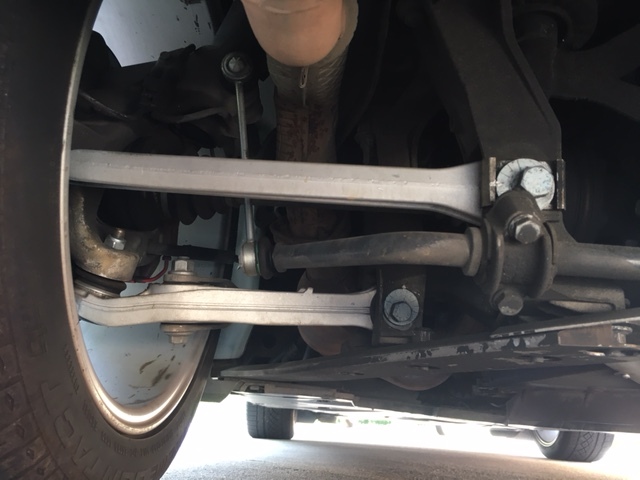 They were clearly worn and it explained the highway shaking. - Front sway bar bushings. Though I can't find the reciept. - Roadforce balance - Discount Tire. 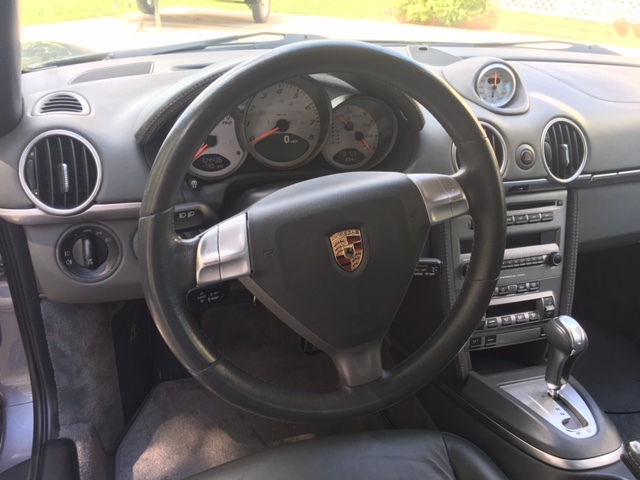 on the side for other Porsche owners. - Air filter cleaning. Didn't need a new one. - Cabin filter cleaning. Didn't need a new one. 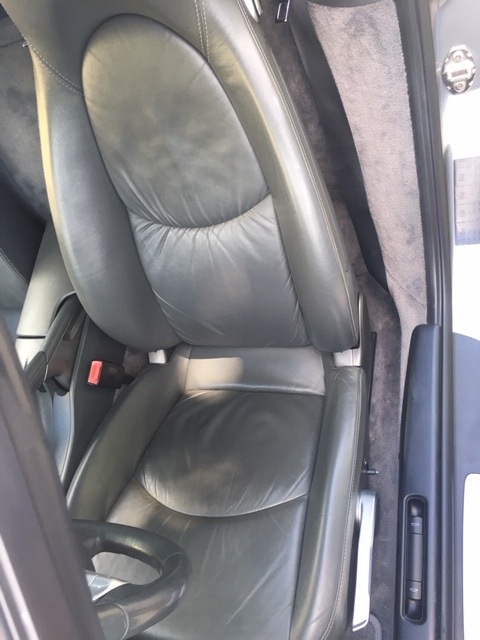 - Leatherique seat restoration. Driver left side bolster needed minor dye touch up to meet my standards. - Steering wheel Leatherique and light sanding and redye. Not perfect but I can't stand old worn out steering wheels. greatly. Now that is has had time to blend and age I'm temped to give it another attempt with proper mixture. 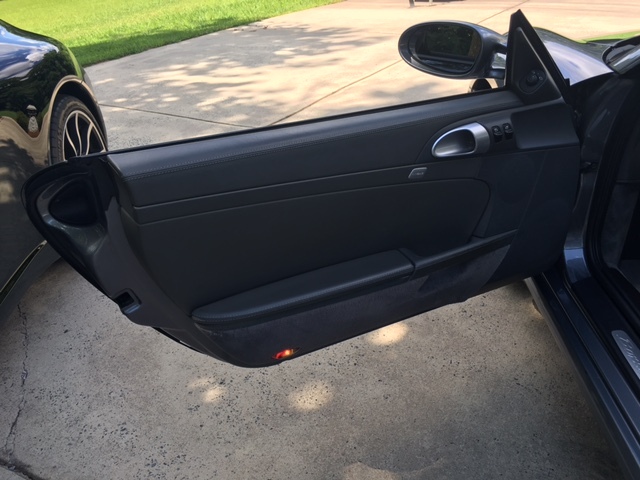 - Polished head lights and clear bra them. 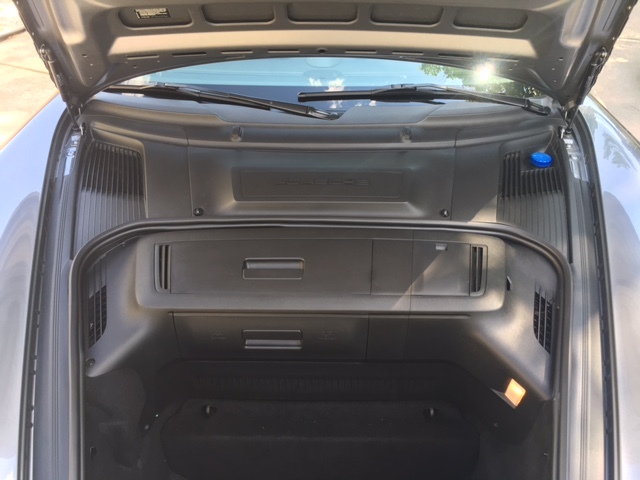 - Referbished all frunk plastics. - Cleaned under body panels. Bump $13500.00. 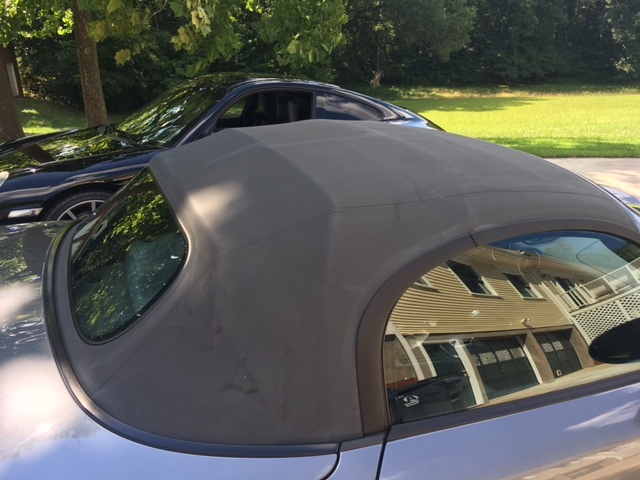 I still have it listed on cars.com but I would like someone to get this that will appreciate a clean well cared for Boxster. How can we get in touch ? Let's get in touch and talk a little.